Reporters for The Oregonian disliked the Patriot Prayer coverage by Elizabeth Hovde. 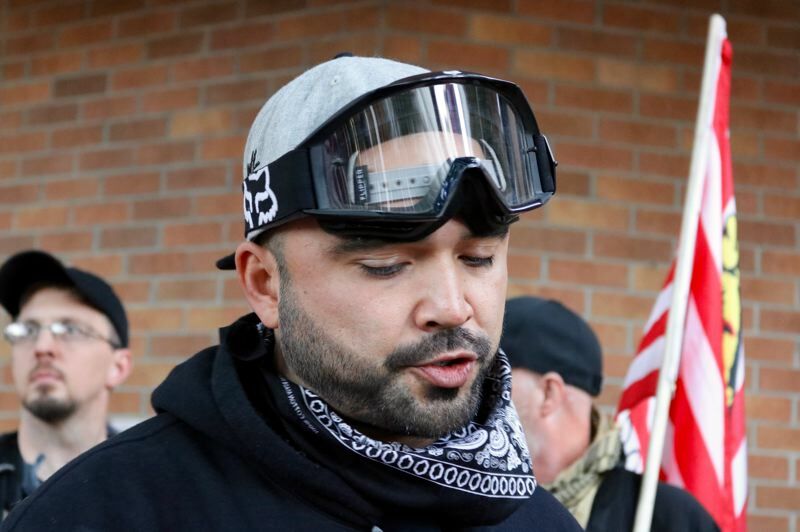 Public criticism of newspapers is nothing new — but the state's oldest surviving daily may have leaped into a barrel of hot water for a sympathetic portrait of Patriot Prayer leader Joey Gibson. 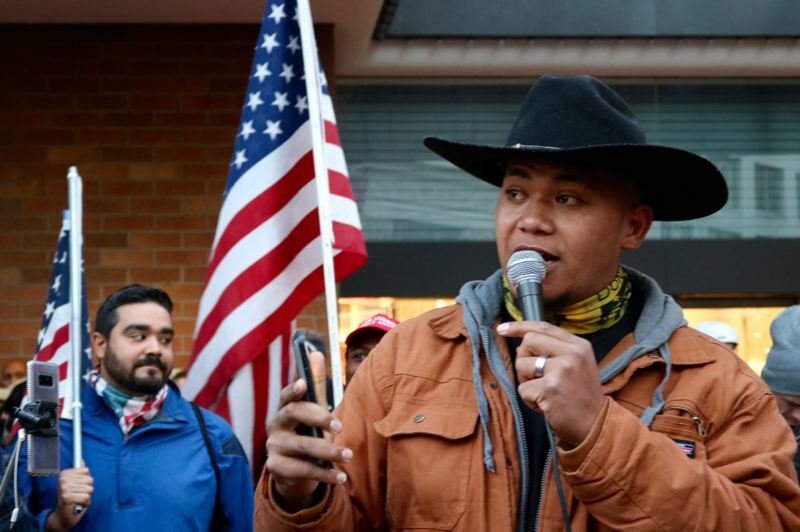 The Oregonian's recent opinion piece on the right-wing activist ran with the headline "Joey Gibson is misunderstood" in the Sunday, Oct. 28 print edition. It also appeared online that day. A day later, editorial page editor Laura Gunderson admitted that the title "missed the mark" and said she regretted the timing of the column, which was published a day after a horrific mass shooting at a Pennsylvania synagogue. Gunderson said freelance columnist Elizabeth Hovde often writes from a conservative viewpoint, and that the Oregonian Editorial Board's broader perspective on Gibson "does not align" with Hovde's opinion. "Gibson brought something we need more of: talk that leads to increased understanding about opposing thoughts and the people behind them," Hovde wrote in an article detailing a recent protest at Washington State University's campus in Vancouver. Hovde admitted that Gibson voices "unpopular opinions" that attract "white nationalists," but also said the 35-year-old sounds like a "modern-day prophet." It came from many sides — with politicians, readers and even some of the paper's own journalists condemning the story — and has sparked rumors of a "response" by antifascists. "The Oregonian has lost their focus. Giving a voice to people who live only to stoke violence and hatred is unforgivable," wrote Multnomah County Chair Deborah Kafoury. "To claim otherwise is not being balanced, it's being complicit." Mayor Ted Wheeler added: "There is no place for hate, extremism, and violence in Portland or anywhere. Hard to find common ground with groups who embrace all three. There is no misunderstanding." It didn't stop there. A social media account used by Antifa organizers demanded that the paper fire Hovde and issue a front-page apology. On Twitter — where local journalists go to spill the tea — a staff reporter at Willamette Week called the coverage "a slap in the face." The news editor of the Portland Mercury summed it up simply with: "I'm nauseous." "There was a lack of context, nuance, perspective in that piece that felt either wildly out of touch or outright disingenuous," commented Anna Griffin, the news director for Oregon Public Broadcasting. It's worth noting that the lawless street brawls that break out routinely between Patriot Prayer members and counter-protesters has prompted Portland's mayor to call for stricter laws governing demonstrations. Tusitala "Tiny" Toese — one of Gibson's closest lieutenants — was apparently captured on video kicking the body of a counter-protester during the most recent fight on Oct. 13. Hovde seemed to imply that there was "zero violence" at the WSU rally because counter-protesters didn't show up. Now even some of The Oregonian's own staffers are distancing themselves from the piece. "A man is known by the company he keeps & no one with that kind of company deserves a fawning profile," wrote Samantha Swindler, a former columnist and current video producer for the paper. "Pretty surreal to see the publication you work for (unwittingly??) gaslight its readers in the Sunday paper," another reporter wrote in a now-deleted tweet. Gunderson said the paper's editors wrote the headline, not Hovde. "Increasingly, I hear from readers who are angry when they read opinions that differ from their own," she said in a statement emailed to the Tribune. "An Opinion page that readers universally agree with is neither advisable nor attainable." You can read Gunderson's full statement here. A previous version of this post incorrectly identified the actions that occurred during a violent street brawl on Oct. 13.